The publication last week of the catalogue of Pierre de Fermat highlights the growing body of early modern mathematical correspondences that is taking shape at present within EMLO. 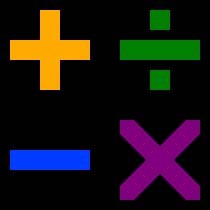 Fermat was one of the finest mathematicians of his age who rekindled interest in number theory. Through the exchange of letters he both initiated and participated in debates with contemporaries across Europe, including John Wallis in Oxford and Marin Mersenne in Paris. During the first phase of the Cultures of Knowledge project a calendar was compiled for the correspondence of John Wallis, taken from Philip Beeley and †Christoph J. Scriba’s ongoing multi-volume edition published by Oxford University Press (volume IV was brought out last year), and this, in combination with our founding catalogues, became a cornerstone of the fledgling union catalogue that was to become EMLO. Within this past year, EMLO has seen metadata added for the correspondences of Christiaan Huygens, René Descartes, Athanasius Kircher, and Marin Mersenne, while the correspondence of Caspar Schott has been published in part and is due to be augmented significantly within the next couple of months by Thomas E. Conlon and Hans-Joachim Vollrath. EMLO could not be more fortunate that this burgeoning cluster of mathematical correspondence is overseen by none other than Philip Beeley, the current President of the British Society for the History of Mathematics. With funding from the AHRC, Philip works at present on the seventeenth-century mathematical intelligencer John Collins, a project he drafted originally with the late Jackie Stedall. A catalogue of Collins’s letters is in preparation for upload to EMLO, where — thanks to Philip’s indefatigable work in a number of Scottish archives during the summer — it is to be joined by the catalogues of the correspondences of James and David Gregory, which our Digital Fellow Kat Steiner, herself a former student of Jackie’s, is set to help prepare. We are thrilled also to announce that work has just begun here in Oxford in partnership with the Bernoulli Euler Zentrum in Basel to prepare calendars for the correspondences of members of the illustrious Bernoulli family [Daniel I (1700–1782), Jacob II (1759–1789), Johann I (1667–1748), Johann II (1710–1790), Nicolaus I (1687–1759), Nicolaus II (1695–1726), and Jacob Hermann (1678–1733)], as well as for that of Leonhard Euler, and with her particular brief to help with work on the latter we would like to welcome to our EMLO Digital Fellow team doctoral student and Euler scholar Rosanna Cretney. This entry was posted in Uncategorized on October 29, 2015 by Miranda Lewis. Lest anyone imagine that editorial work in EMLO focuses solely on the publication of new catalogues, I thought it worth drawing attention to a number of enhancements made recently to correspondences published at earlier stages of EMLO’s development. Behind the public face of EMLO, contributing scholars and editors continue to update and enrich our published catalogues either with new letters or by adding detail to existing records. In the past week, Dr Robin Buning has added to the Hartlib catalogue ten letters, all missing from the original calendar uploaded in 2010. Another of our Phase I correspondences, that of Martin Lister, has also expanded in recent months as Dr Anna Marie Roos supplemented the original catalogue with metadata for an additional seventy-one letters which came to light between the initial upload of the calendar to EMLO and the publication earlier this year of volume I of the hard-copy edition of Lister’s correspondence. The correspondence of Edward Lhywd has been worked on continuously over the course of the past year, and we are particularly delighted to be able to announce today the release of a set of newly worked transcriptions for all of his 2,128 letters. As might be expected when dealing with the correspondence of the ‘father of Celtic linguistics’ and author of Glossography (1707), work on these transcriptions involved a large number of scholars, and the challenges of representing accurately letters that contained words, phrases, and quotations in a spectacular array of ancient and modern languages were considerable, not least to ensure that the full range of diacritics and fonts displayed correctly. We are extremely grateful to Helen Watt for her work above and beyond the call of duty to oversee and coordinate this significant update. And with regard to languages and texts, we are equally pleased that the full set of transcriptions prepared by Professor Gerald Toomer of the letters of John Selden may now be downloaded as a PDF from each individual letter record in the catalogue. Work continues apace also in Prague, where our colleagues at the Czech Academy of Sciences are in the process of correcting and expanding the abstracts provided for letters in the Comenius catalogue, and all abstracts earmarked for inclusion in the first volume of the printed edition [Prague, forthcoming 2016] are to be updated in EMLO in the course of the next six months. In addition to this work, Dr Iva Lelkova is planning to enhance the Kircher catalogue with more precise information for places of sending and receipt. With regard to more recently published catalogues, there are particularly significant additions to the the Mersenne catalogue: metadata for eleven new letters, which Sir Noel Malcolm published for the first time in two articles in The Seventeenth Century, may now be consulted in EMLO together with metadata taken from the de Waard edition. Over the coming year, it is our hope that letter records in Mersenne’s catalogue — as well as many in a number of other correspondences, including those of Peiresc and Tycho Brahe — will be enriched with manifestation details. It has been our intention from the outset to make available to scholars as much ‘work-in-progress’ metadata as possible and, in consequence, many of our more recent additions are being published in batches. Over the coming months, the correspondences of Johann Valentin Andreae, Caspar Schott, and Constantijn Huygens, amongst many others, and the collection of Bartolomeo Gamba, will be augmented significantly, while the first installments of the correspondences of Henry Oldenburg, Johannes Kepler, Pierre de Fermat, Abraham Ortelius, Justus Lipsius, and Leonhard Euler are scheduled for release. Throughout this current phase, our work will continue to add new letter records to catalogues and to refine existing metadata. In part, this is thanks to the corrections and comments submitted by increasing numbers of scholars, and for which we are extremely grateful: this is precisely the kind of ‘community curation’ of our open-access resource that we hope to nurture in the future. No less gratifying is the steadily increasing frequency with which potential contributors write in to suggest updates and to offer fresh metadata. 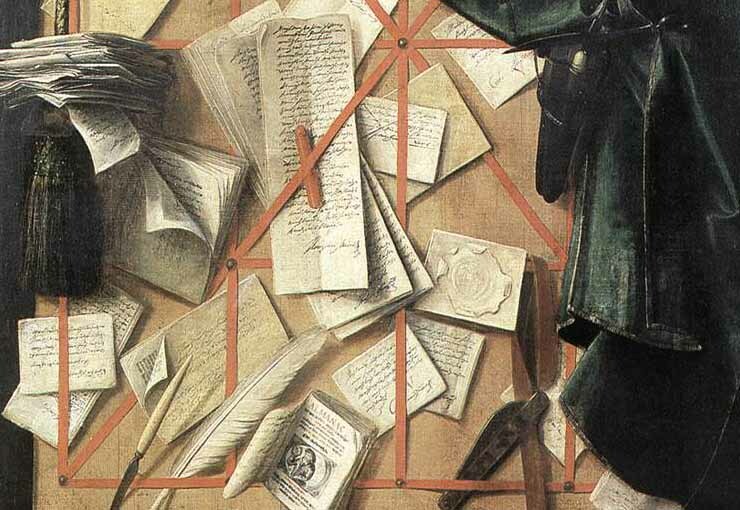 If you are working with, or are interested in, early modern correspondence and would like to contribute to EMLO, please do not hesitate to be in touch. Alternatively, if you would like to be involved but do not have a specific correspondence in mind, please bear in mind that we intend to host a series of crowdsourcing workshops, designed to resolve a number of inherent metadata problems (many of which can be described as ‘embarrassing bloomers’). At our inaugural workshop, we shall consider issues surrounding dates and calendars, and will embark upon a programme to tidy up metadata in the Bodleian card catalogue, particularly those records employing the Roman calendar. The day-long workshop, which will be held at the History Faculty in Oxford, will include short talks by scholars, as well as an introduction to EMLO itself. Volunteers will be given full acknowledgement for their work, and refreshments will be provided throughout the day. Places will be limited so, to become involved, please either contact us by email or keep an eye on this blog where further details will be released as our plans take shape. This entry was posted in Uncategorized on October 13, 2015 by Miranda Lewis.